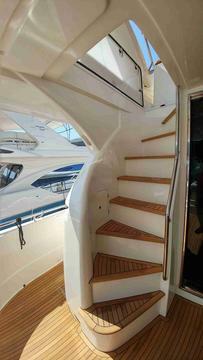 » ALL BOATS - Dalmatia Yachting d.o.o. price: € 2,290,000 € 1,890,000, VAT excl. HUGH PRICE REDUCTION!!! YACHT LIKE NEW!!! Price + 5% commission. price: € 1,699,000, VAT incl. ONCE MORE REDUCED FOR 170.000,-EUR!Beautiful yacht with full options! Gyro stabilizers, etc. Price + brokers fees. price: € 2,200,000, VAT incl. Well equipped yacht, all infos on request. price: € 1,085,000, VAT incl.